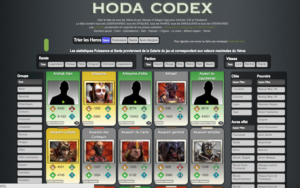 As I mentioned in the previous post, it is when I discovered the Isotope plugin that I imagined the current version of the hodacodex, for me it was obvious that replacing the colored squares by the portraits of the heroes would give a superb effect. But I had a lot of work to do before I got there ! 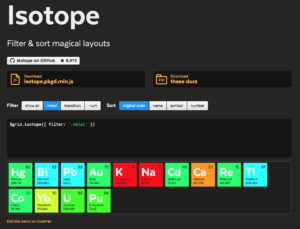 I had a clear idea of what I wanted to do with Isotope and I needed a pop-up system to display the hero information. After a lot of time and work, it’s in April 2015 that I put online a version in static Html but which already contains a large number of filters. 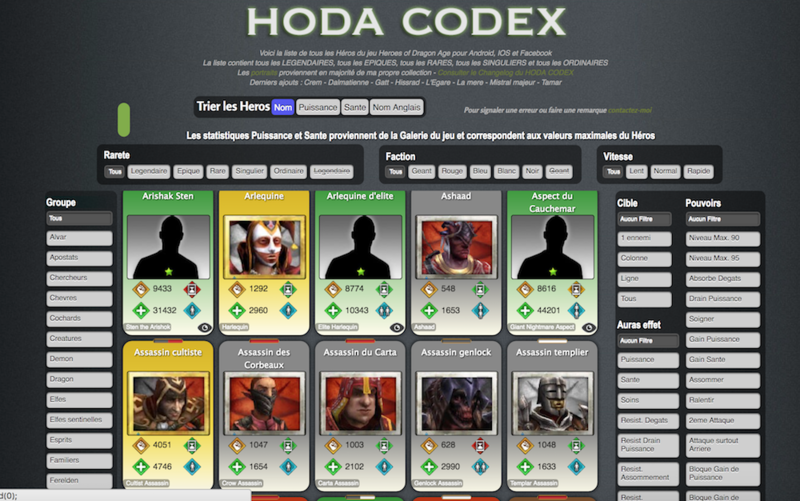 The whole site was entirely in French but I decided to display the name in English at the bottom left of the hero’s card. 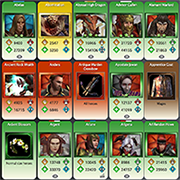 For example, I had created some icons to quickly identify hero’s target, or the icon of the eye to display big picture of the hero. 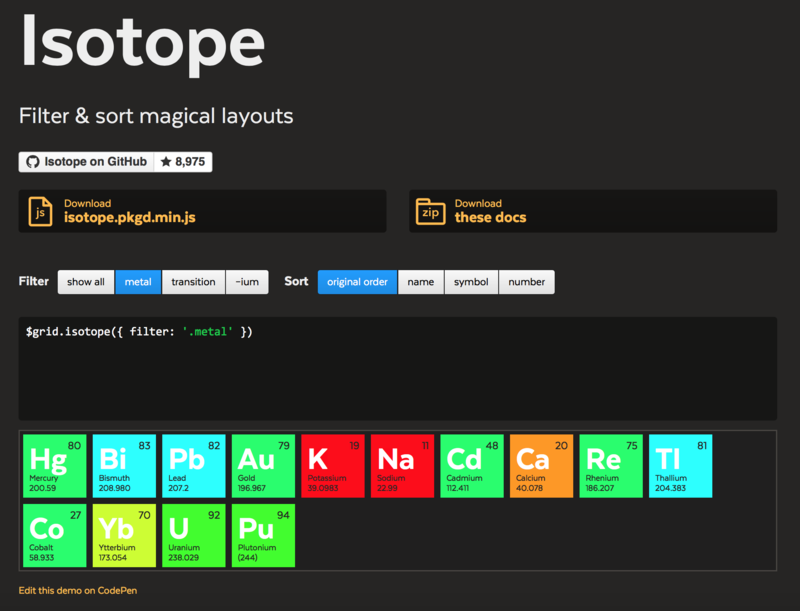 But above all, I was proud to have succeeded in setting up what I wanted, directly inspired by the Isotope plugin. All worked very well ! Cet article a été posté le 29 septembre 2018, 6 h 56 min sous la catégorie HODA Codex. Vous pouvez suivre les réponses à cet article via RSS 2.0.